Kind hearted students have given up their time to support local good causes during Volunteering England’s tenth annual Student Volunteering Week in February. 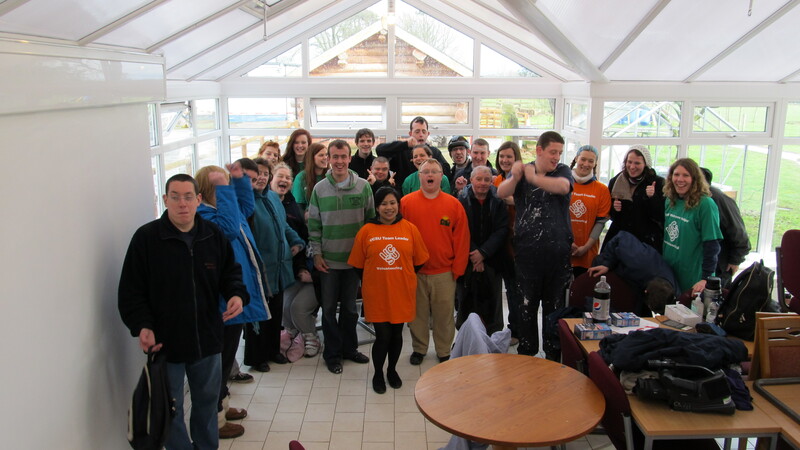 More than 15 volunteers from the Lancaster, Penrith and Carlisle campuses worked with service users at Heathlands on a painting, decorating, and outdoors project and ten students took part in a similar project at the Eden Foyer in Penrith. Heathlands Farm day centre for adults with learning disabilities at Harker, Carlisle, provided an opportunity for students to form a befriending environment whilst working on a painting, decorating and outdoors project, allowing the members to develop confidence and relationships by offering practical assistance and support. The Eden Foyer is th e only facility in Cumbria which provides young people with support and opportunities into independent living. 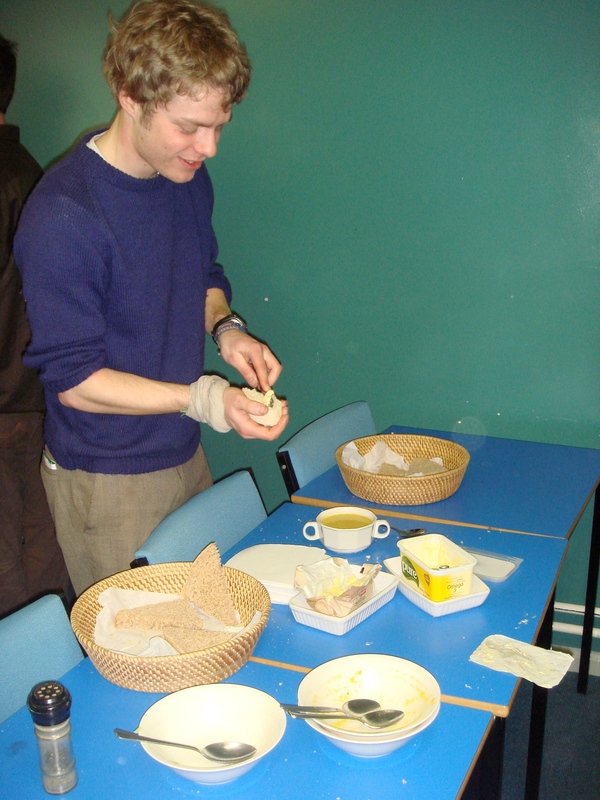 The Foyer offers a wide range of services for young people and the wider community. Kati Brown, the Students’ Union Volunteering Facilitator said of the week:“It has been a great success, it’s been a lot of fun and has made a big impact on the organisations we’ve been working with. Everyone who took part really enjoyed themselves and hopefully this will encourage more students to take part in volunteering opportunities throughout the year. 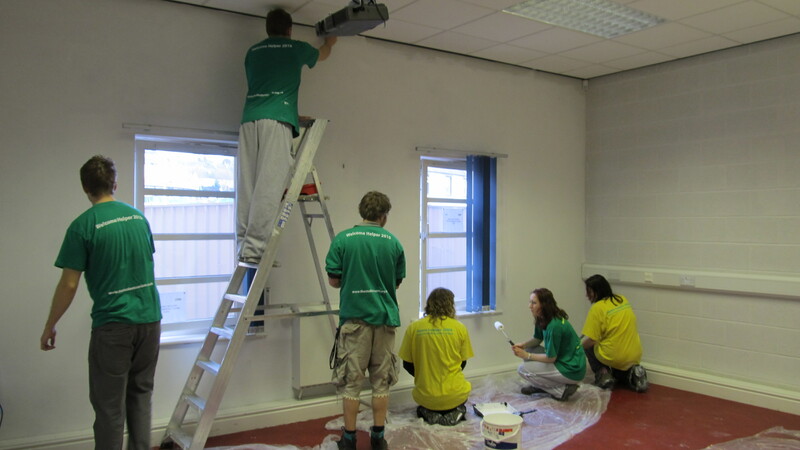 In the last academic year, 49% of students across the UK took part in volunteering, giving more than three million hours to their communities and contributing an estimated £42 million to the economy. This week at Newton Rigg campus students took part in a week of environmental living activities for the national student Go Green week. 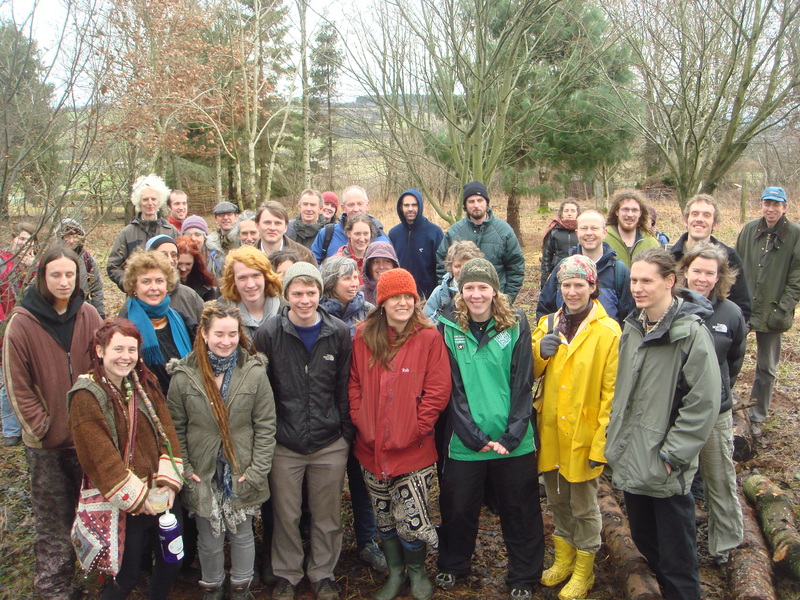 The week began with a day of Permaculture, with talks from Andy Goldring and Tomas Remiarz, from the permaculture association UK and continued through the day with talks from a Newton Rigg student and members of a local Forest Food Network. Scrummy locally sourced food also made sure everyone was happy at dinner time. 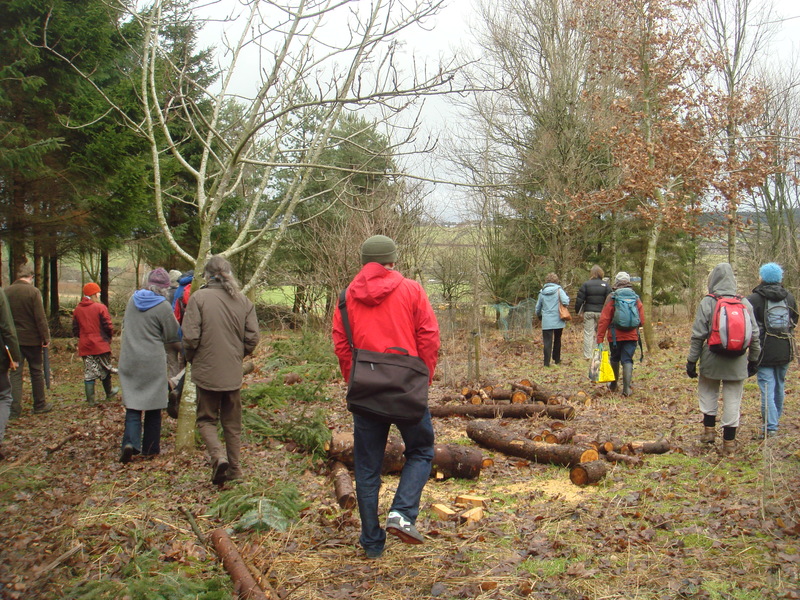 We all took a stroll up the Newton Rigg Forest Garden after dinner which began last year with a group of curious and mud loving students, with an urge to get involved with something outdoors and practical on our campus. Informative discussion sessions were run after this about how Cumbria can tackle food production issues. This gave the Go Green week a great start. The activities continued on Wednesday afternoon which was spent with a continuation of the Wednesday before with the building of a ‘cob’ oven in the forest garden. This is an outdoor oven made of clay, sand and straw, with the ability to bake beautiful pizzas, loafs and anything you like! This involved lots of clay stomping, merrily named ‘the cob dance’, muddy faces and a sense of awe and accomplishment as the whole thing starts to come together. This was done with help from the local Penrith transition town group (PACT) who helped us massively get the oven going, bringing their experience and skills to the table. It was great to have people from the local community involved with the University. Tuesday, Wednesday and Friday evening films were shown on campus with the Earth Pilgrim Satish Kumar spreading his message through his explorations of Dartmoor and of course Attenborough doing his thing. On Thursday our resident enthusiastic Lecturer, Dr Naomi Van Der Veldan ran a demonstration on how you can grow your own food with the smallest amount of space, demonstrating windowsill gardening using recycled things such as coffee cups. Saturday was spent with people enthusiastically getting involved in the activity of green woodwork which is a traditional method of creating crafts from ‘green’ unseasoned wood. It was great to observe people happily chopping away at their bit of wood which resulted in many lovely spatulars, spoons and bowls that were crafted with care and attention. 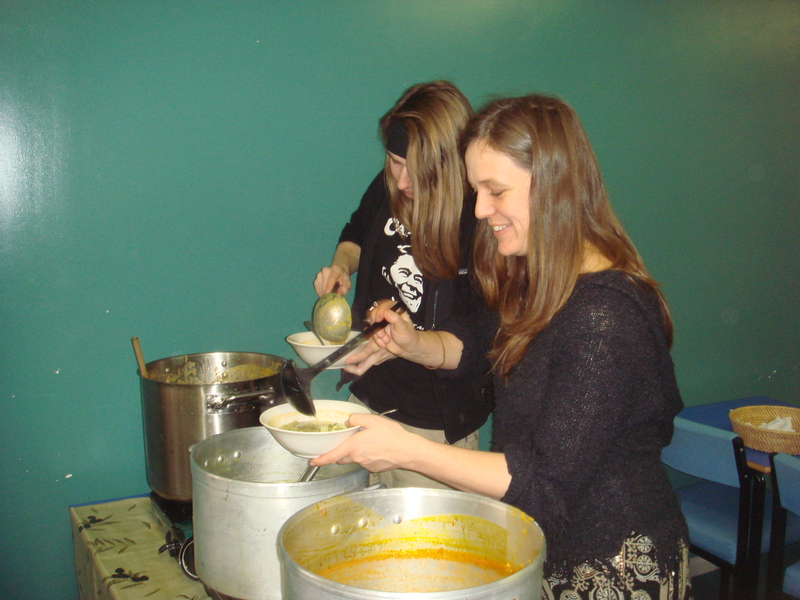 The week came together with the help of many different people at the campus and in the local community. 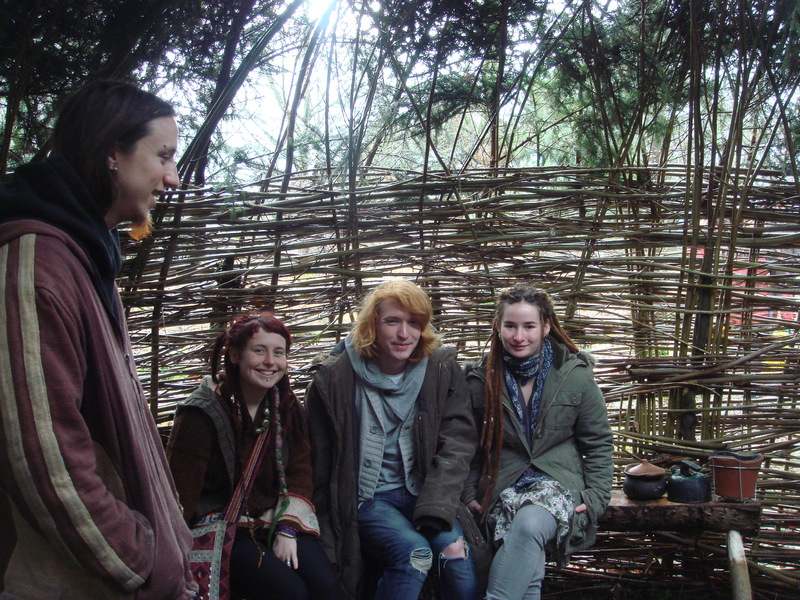 Dr Naomi Van Der Veldan was the organiser for the Permaculture day and a big part of getting these kinds of activities going at Newton Rigg and The Newton Rigg Conservation Society has also played a big role in making things happen, always being up for getting mucky outside. Overall the week was a great success and hopefully the good work will continue on our campus. 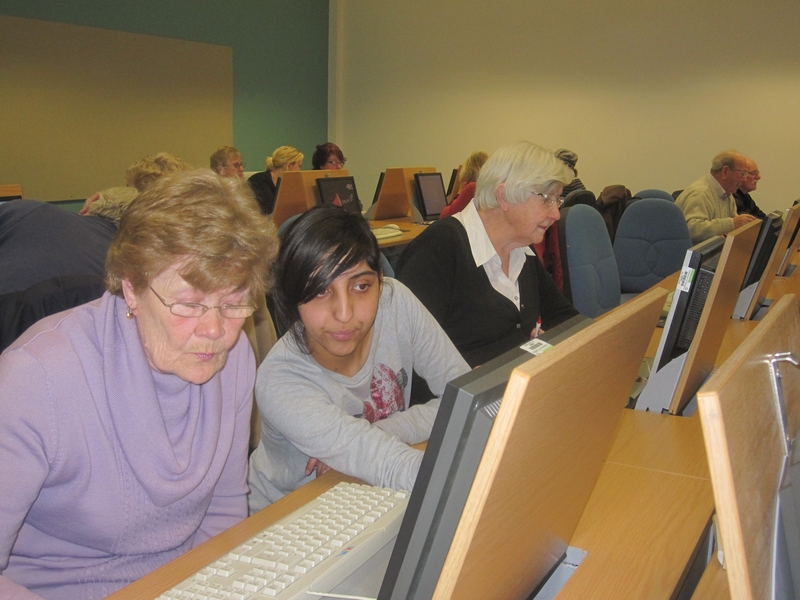 On Wednesday 2nd February, UCSU Volunteers delivered their first basic IT Skills session to retired residents living in the Moorlands and Bowerham areas of Lancaster. 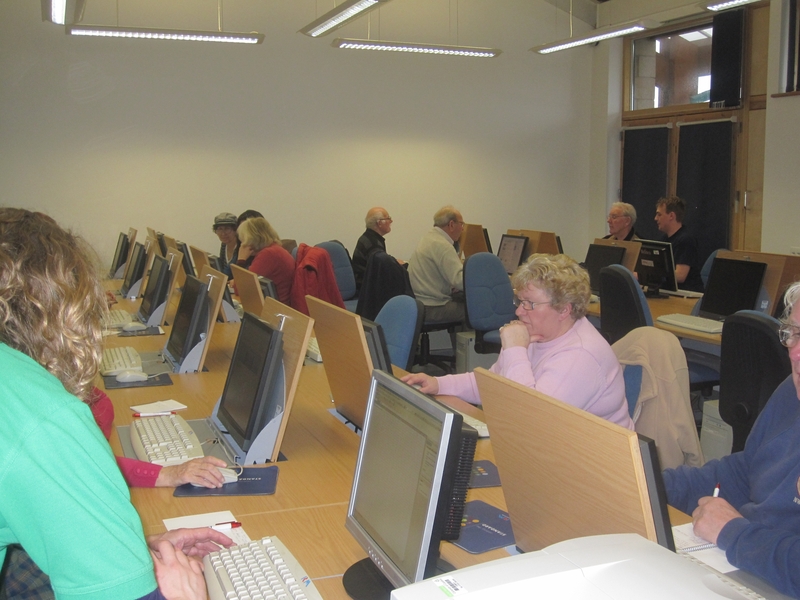 The weekly sessions, taking place on the Lancaster campus of the University of Cumbria, are solely based on what the residents would like to learn. For local resident, Jack, his first aim was to read the Sports News Online, Bill wanted the news headlines and then opted to learn how to write a letter, as he used to be a tele-printer in the forces – using a typewriter. Eight Students Union Volunteers, each assisted two residents at a time, providing a friendly, informative and beneficial experience. It was also a fantastic opportunity for our students to introduce themselves, get to know and hopefully, over the coming weeks build relationships with the residents. Over the past few months, Tom Underwood, the Students’ Union Community Sabbatical, has been building links with the local community through the local Police and Communities Together (PACT) forum and establishing relationships with local Councillors and key partners.